Lights. Camera. Help. is a nonprofit devoted to encouraging nonprofit and cause-driven organizations to use film to spread their messages. As a part of this effort, Lights. Camera. Help. has launched the premiere film festival exclusively for these organizations. Through this annual event, films and videos with a cause directly related to a nonprofit or cause-given organization will be subject to a rigorous criteria by a panel of judges. The winners receive all of the proceeds from the festival. ———- Additionally, Lights. Camera. Help. offers educational programing for nonprofits that demystifies the filmmaking process. These workshops teach nonprofits what to consider when buying equipment, setting up a shot, lighting, storytelling, recording audio and more. Participants leave the workshop understanding how to create a film for their organization. ———- Lights. Camera. Help. has many more exciting initiatives on the way. 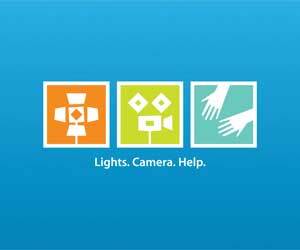 Check www.lightscamerahelp.org regularly or sign up for our mailing list for more information.